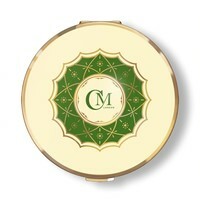 This beautiful Charles Mallory powder compact is called Fleur De Lis, from the Heritage collection. 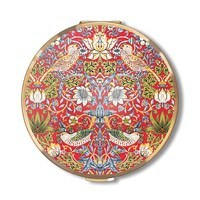 A collection which uses symmetry and colour to create stylish, striking designs. 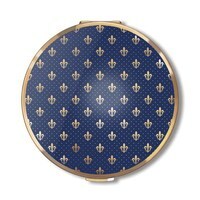 'Fleur De Lis', French meaning 'lily flower', is a design associated with both the French and English monarchies, giving this compact an extremely luxurious appearance and feel. 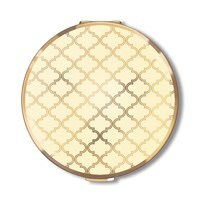 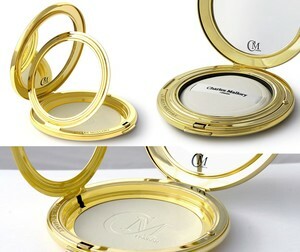 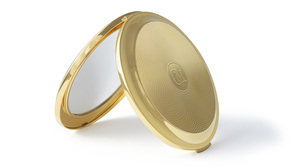 Each powder compact/mirror comes in a beautiful presentation box, which includes a protective travel pouch.